January is almost over and our favorite thing to do in our free time is try new beauty products so you don’t have to. Few things bring us more joy than falling in love with a new product to add to our routine. As always all of our suggestions are cruelty free, because beauty shouldn’t have to hurt anyone. 1. Do you ever feel like your normal skincare routine just isn’t enough sometimes. Between work and balancing a social life it’s hard to find time to go get a facial, that’s where Foreo’s Luna 2 comes in to save your life. The Luna 2 is a facial spa massager that cleanses your skin and prevents wrinkles. It comes in four options for normal, combination, sensitive, and oily skin. One side of the Luna 2 uses T-Sonice power to exfoliate your skin, unclog your pores and rid it of any makeup or product residue, and remove dirt and oil from your skin. The other side is an advanced anti-aging massage that leaves your skin firmer, and improves absorption of your skin so it can absorb your skincare products. Best part is you get an at home facial whenever you want! 2. If you’re into an at home facial but not into getting a device to do it then Drunk Elephant T.LC. Sukari Babyfacial is for you. This product is literally an at home facial in a jar, it’s an AHA/BHA facial that resurfaces your skin to improve your skin’s texture and tone. It’s formulated with a pH level of 3.5 and is blended perfectly so it won’t make your skin red or sensitive. This is great to minimize your pores, even your skin tone, and prevents dullness and fine lines. 3. We’re loving how cold it is this winter but we definitely aren’t loving how much it dries out our skin. We tried Herbivore’s Pink Clay Gentle Soap Bar and we’re never going back. It’s a clay based bar soap that you can use on your face to cleanse your face and remove your makeup or on your body to moisturize and firm your skin and diminish redness. There’s nothing worse than your legs looking and feeling like fire after you shave them in the shower and this bar has saved our skin. The French pink clay in this bar draws out impurities without drying out your skin and leaves your skin silky smooth. 4. All in one products are an obsession for us right now and Briogeo’s B.Well Organic and Gold Pressed 100% Castor Oil does it all. You can use this product to nourish your eyelashes, condition your eyebrows, nourish your hairline, tame flyaways, hydrate your elbows, and condition your cuticles. This product is literally designed to promote healthy hair, scalp, skin, eyelashes, and eyebrows. It’s packed with vitamins that will protect and nurture your skin and hair! You can also add this to any Briogeo conditioner to repair your hair! 5. We’re all about protection at PRÊTE and so is IGK. IGK’s Blocked Water- Resistant Hair Shield uses a blend of natural waxes and mint extract to protect wet hair, prevent color from fading, and prevent damage and breakage when your hair is wet. When your hair is wet it’s most vulnerable to breakage and IGK is here to help. Not only does it protect your hair from water but also UV rays, wind, water, chlorine, and sweat. 6. You can literally never have enough chapsticks but once you try Glossier’s Balm Dotcom you’ll be kissing your other chapsticks away. This balm is packed with antioxidants and natural emollients to nourish, repair, and moisturize our lips. It gives your lips a glossy finish without feeling sticky and it comes in six different color options. Our favorite is the Birthday flavor it literally smells like birthday cake and leaves our lips glossy and moisturized all day. 7. Now for everyone’s daily struggle: eyebags. Milk Makeup’s Cooling Water Eye Patches are packed with caffeine,seawater, and aloe extract to will de-puff your undereyes and soothe redness. Best of all these patches won’t slide down your face so you can actually be productive or just binge watch your favorite show in comfort. 8. We’re all about finding natural alternatives to products that have chemicals in them that we really shouldn’t be putting into our body, and most toothpastes has tons of chemicals that you shouldn’t put in your body let alone your mouth. Kopari’s Coconut Charcoal Toothpaste will naturally restore your enamel, freshen your breath, and whiten your teeth without harsh chemicals. It’s fluoride free and is a 100% natural coconut and mint flavored toothpaste. The activated charcoal will whiten your teeth and capture toxins that stain our teeth and cause bad breath. 9. 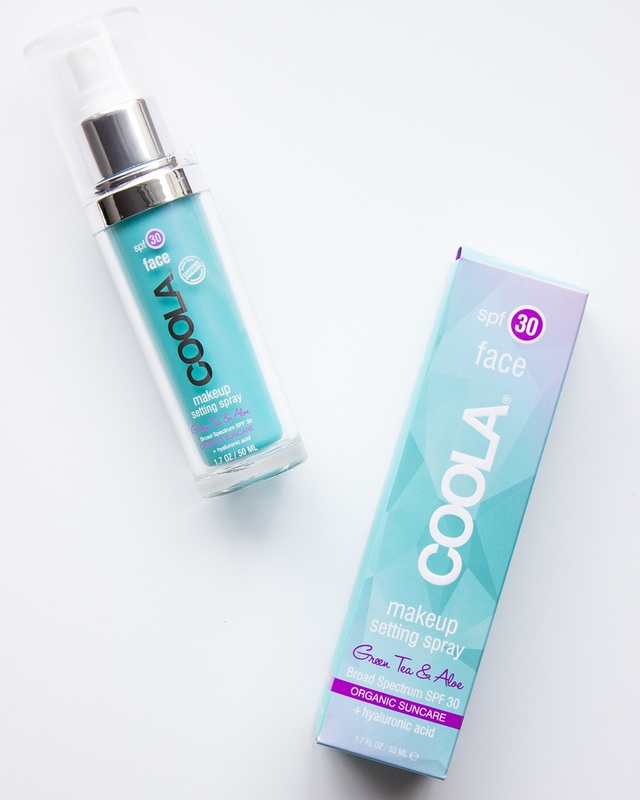 As you know we’re super into all in one products right now and Coola’s Organic SPF 30 Makeup Setting Sunscreen Spray is one of our all time favorites right now. This spray will set your makeup literally all day and gives you a matte finish while delivery hydration and sun protection. You should never leave the house without your SPF or without setting your makeup! 10. Our last favorite all in one product for the day is Anese’s Smells Like Queen Spirit Soothing Body and Hair Elixir. It’s made with aloe, neroni water, orange blossom, and vanilla and you can use it in so many different ways. You can use it on your face to reduce the appearance of pores and fine lines, as a makeup priming spray for a dewy look, to hydrate your hair, or use it on your body to restore its natural water balance. This product is all natural and hydrates your skin without making it feel oily. 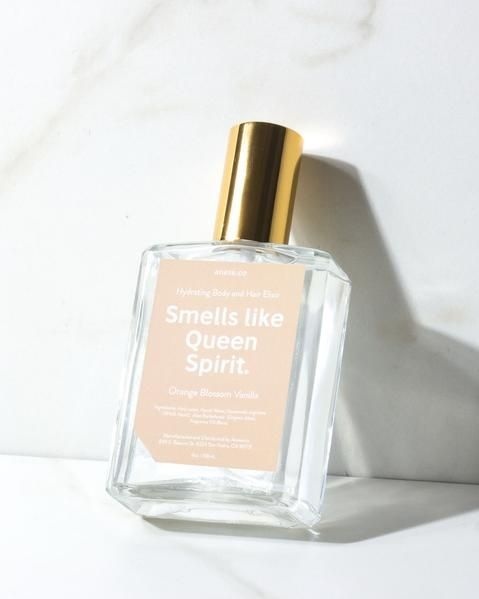 Who doesn’t want to look and smell like a queen? That’s a wrap on the products we couldn’t live without this January and will definitely be following us into the new year. Something that’s also following us into the new year is booking our blowouts with PRÊTE! 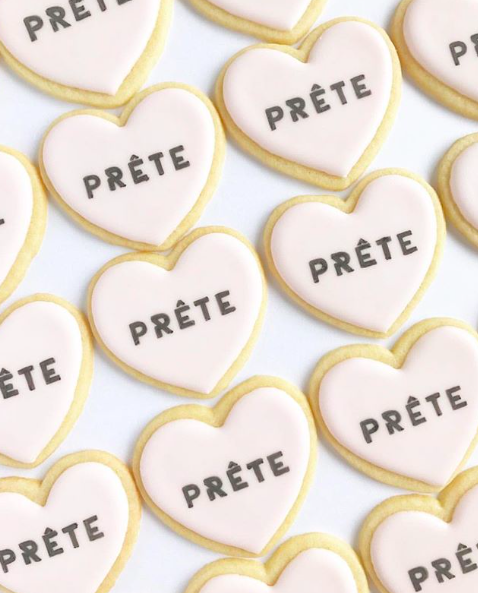 Don’t forget to book your next blowout using the PRÊTE App and tag us on Instagram @pretebeauty.